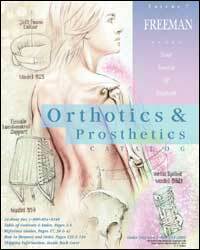 Freeman Manufacturing Co. announces their newest catalog, Volume 7, available in two formats: A priced version with suggested billing codes accompanying each model number, and a non-priced promotional version. 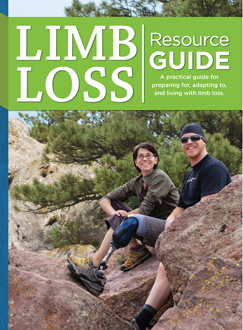 Volume 7 catalog introduces these new additions to the Freeman Family of Healthcare Products; an LSO Body Jacket, air and gel back supports, hyperextension orthoses, diabetic shoes, the InnovatorTM Post-op Knee Brace and a line of EZ-FitTM Stretch Garments. 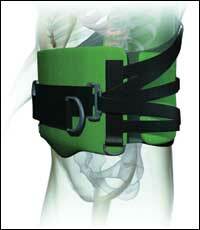 The Philadelphia® AtlasTM Collar, a new hip orthosis, and new heat gun are also available. In addition, Freeman offers the most complete line of medical compression stockings including Jobst® and Medi® with no minimum order requirement. 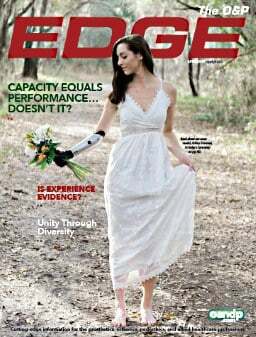 Exceptionally soft and wrinkle-free like the original seamless AFO interface, SmartKnit AFOs with X-STATIC, fit like a second layer of skin, and also provide the proven benefits of pure silver. The thermally conductive silver fibers in X-STATIC work much like a silver spoon in a cup of hot tea, by conducting heat away from the skin to the ambient air, thereby cooling the skin. 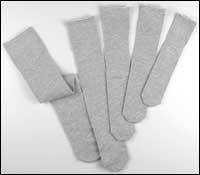 X-STATIC also enhances the body's natural ability to evaporate moisture. The conductivity of the X-STATIC fibers acts to accelerate evaporation. As moisture is evaporated, a correspondingly greater amount of moisture can be drawn through the yarn system for subsequent evaporation. X-STATIC AFOs transport perspiration away from the skin faster, creating a more comfortable environment and less potential for the development of dermatitis, bacterial irritation, and odor. In short, SmartKnit AFOs with X-STATIC allow increased comfort and better skin health by minimizing moisture contact with the skin and reducing bacteria. 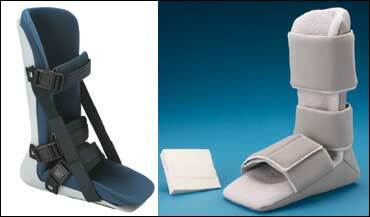 Ongoing Care Solutions offers a complete line of orthotics including, WEL-KARETM Night Splints at $27.00 each! In addition to an extensive line of silicone products, Realastic still offers the low cost option of PVC products. "As one of the pioneers in the PVC prosthetics industry, we take great pride in continuing these PVC products," says Dewey Yeargin, Realastic's president. "When silicone is not an option, a product like our custom PVC hand with custom partial insert is the perfect solution," he adds. PVC gloves are available in 17 different colors with great cosmetic and anatomical features such as freckles, age spots, tinted veins, palmar, hair, and zippers. Pricing information and "R" swatches available upon request. Seattle Systems, Inc., announces its Sure Step Neuropathic Charcot Restraint Orthotic Walker (CROW), a custom orthosis used in treating Charcot degeneration of the foot and ankle. Offloading, stabilization, and protection from future trauma to the foot are critical in the treatment of the diabetic foot. Seattle Systems' Sure Step Neuropathic CROW is an effective alternative to TCC, offering greater comfort by putting minimal pressure on the foot and evenly distributing weight that provides the necessary support to enhance mobility. 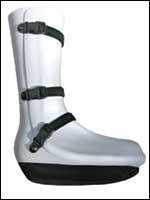 The custom-molded boot incorporates a bivalve custom pre-tibial and posterior shell with rocker bottom sole that is designed to offload the foot similarly to a total contact cast but offers accommodation for each patient's particular needs. 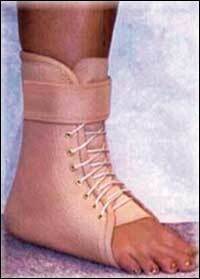 This innovative product can also be used for post-surgical protection and transition following foot and ankle reconstruction. PEL Supply Company announces the immediate availability of the new CruiserTM OA Knee Brace manufactured by Seattle Systems. This revolutionary new osteoarthritic orthosis incorporates an innovative hinge design to provide comfort and freedom of mobility to the patient. A single upright joint places a corrective force during knee extension and full relief upon knee flexion. 20 degrees of medial/lateral adjustment allows the practitioner to customize and fit the most involved patients, with an off-the-shelf knee orthosis. 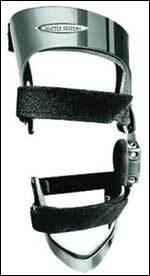 Unlike standard OA braces, the new Cruiser OA has no force straps and no constant pressure. The wearer can actually sit down and relax. The Cruiser's unique hinge action increases the patients' comfort during flexion when corrective force is not necessary. The Cruiser OA is offered in a stylish silver finish, and is available in five basic sizes, from extra small to extra large--in stock for next day shipment from PEL Supply. AMFIT Inc., distributor and manufacturer of custom foot orthotics for the medical industry, has launched a new e-commerce website, insole.com. The website is a retail store-within-a-store concept where consumers may select from several foot orthotic vendors, including ArchCrafters, AMFIT's retail custom insole line. Complimenting AMFIT's retail division, ArchCrafters and ArchCrafters.com, insole.com will offer consumers the opportunity to purchase custom-made foot orthotics, as well as off-the-rack brands such as Dr. Scholl's®, Spenco®, and SofSole®. Insole.com also provides information on specific foot conditions, and suggestions for which insoles are best suited for a particular condition or activity. Arjen Sundman, president of AMFIT, points out "insole.com will provide consumers an easy one-stop shopping experience for all their foot comfort needs. We will strive to provide good value and top notch customer service."